What is Heavy duty woven foil? Heavy duty woven foil is the combination of Aluminum Foil,PE, have the features of Waterproof, dustproof, high strength, insulation, thermal insulation,can be widely to pack electronic components(PCB,IC,HD driver),precise equipment and chemical raw material,big machine packaging etc. Our range of chemical indicators comply with ISO and ANSI/AAMI/ISO 11140:2005 and provide information on sterilization conditions. In industrial sterilization processing, these indicators are used in conjunction with parametric release processes and provide objective monitoring of sterilization conditions that are completely independent of the sterilizer controls. Class 5 Chemical Integrating Indicators : These chemicals indicators react to all critical variable of the sterilization process. These indicator tapes are reliable and convenient sterilization monitors that are self-contained and have spore strip designs. They provide the fastest biological indication, such that the results can be availed in in just four hours post processing for ethylene oxide and in three hours for moist heat processes. Plasma Indicator Tape consists of a non-cellulosic plastic backing material with a pressure-sensitive adhesive on one side and green indicator stripes on the other side. The chemical indicator stripes turn from green to yellow after exposure to vapor hydrogen peroxide in sterilization processes which is a combination of vapor hydrogen peroxide and plasma commonly referred to as gas plasma. This sterilization indicator tape is used to secure wrapped packs that go into sterilizer and verify the packs that have been exposed to Hydrogen Peroxide. Indicator color does not fade when exposed to light. Steam and EO Integrator tape is used to monitor exposure to steam or EO conditions. The Integrators consists of yellow indicator stripes and pressure-sensitive adhesive. When the steam sterilization is complete, the color of the indicator stripes will change from yellow to dark brown or black. It takes about 15 to 20 minutes and a temperature of 121° C/250° F in a gravity cycle. In 6 minutes and at 132° C/270° F gravity and vacuum-assisted cycle is complete. The chemical strips turn from pink to green after they have been exposed to the EO sterilization process. Steam indicator tapes generally find application for immediate identification of the processed items while they also secure sterilization packs. Color change indicators are used to verify the exposure to the sterilization process. These steam indicator tape, sterilization indicator tape are individually packaged in 55 meters length roll and can also be availed in 25mm and 19 mm width. Mostly used in CSSD departments, these sterilization indicator tape are cut 1 inch in length and stick on the packs to be sterilized. product.So the fire proof performance can be enhanced in a larger degree. crack resistance,shock resistance,anti corrosion performance will be enhanced greatly. 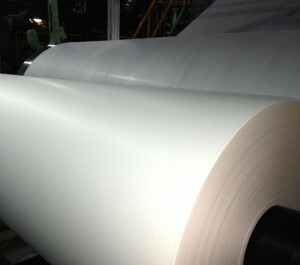 This pasting tissue paper suitable for requirements of continuous grid pasting technology used in the manufacture of lead-acid batteries. ESD Moisture Barrier Film is laminated with four single layers, PET/AL/NY/PE. Film is used to make ESD moisture barrier bag to widely pack static sensitive electronic components such as PCB, WAFER, CHIPS, REELs in SMT industry etc. For chemical raw material and medical intermediate packing, it is undoubtedly a very good choice. The third-party testing reports such as ROHS, Halogen, PFOA/PFOS, MVTR&OTR reports etc. are available. Different width of film is available.